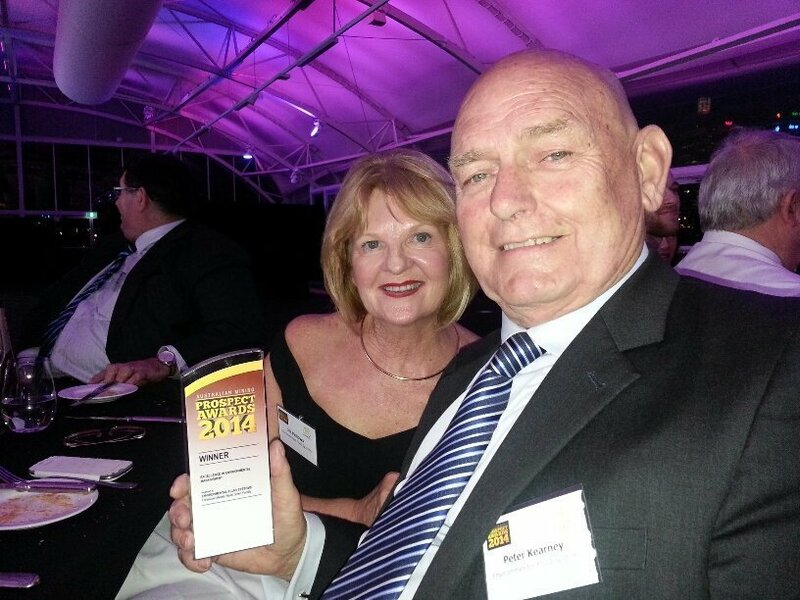 Envirofluid has been awarded the winning place at the 2014 Australian Mining Prospect Awards for Excellence in Environmental Management. The prestigious nomination recognises the leading role Envirofluid has played in developing financially sustainable environmental improvements across the mining industry. Celebrating its 11th year, the 2014 Australian Mining Prospect Awards ceremony took place on Friday 24 October in Sydney and saw the team at Envirofluid join some of the biggest names in the mining industry. Envirofluid’s winning nomination recognises the environmental achievements the company recently made in partnership with Fortescue Metals Group. Through its ground breaking work Envirofluid has paved the way for better environmental outcomes across the entire mining industry by making eco-friendly wastewater management a profit driver – rather than a cost. For FMG this has meant costs savings in the hundreds of thousands of dollars. For the industry it means a better future where cost concerns no longer limit environmental decisions. Envirofluid was initially approached by FMG to solve worker health issues related to the toxic cleaning chemicals being used to wash down locomotives and rail equipment. The team at Envirofluid, however, went even further and implemented a change in chemical use that improved wastewater quality and water recycling. In doing so Envirofluid put an end to serious health risks, improved the environmental sustainability of FMG’s operations and it did so at a cost saving to the business. Read the 2014 Excellence in Environmental Management Winners blog on Australian Mining.